This is a real game that ended up this way. I can't be sure, but I suspect Stockfish just hasn't completed its move or flushed the current move to your UI. Or the UI you are using isn't giving all the information. 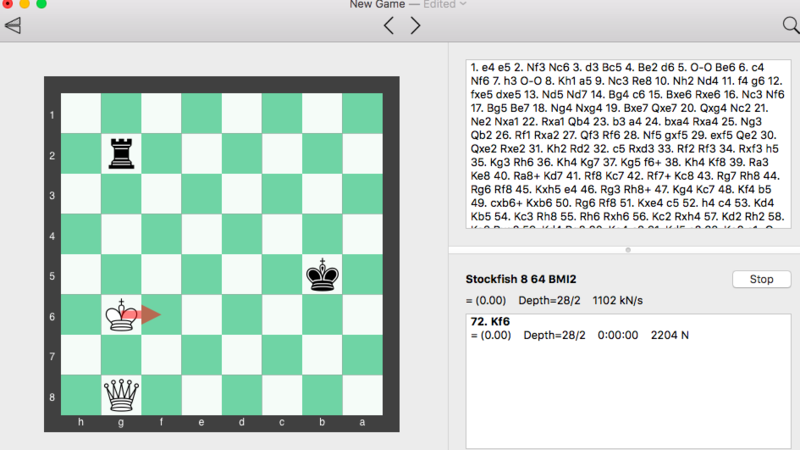 My Stockfish (6) gives '1. Kf7', unsurprisingly. I tried Stockfish 8 for your position, but unable to reproduce the issue. Your depth is very low for this simple position. Can you wait a few more seconds in your analysis?